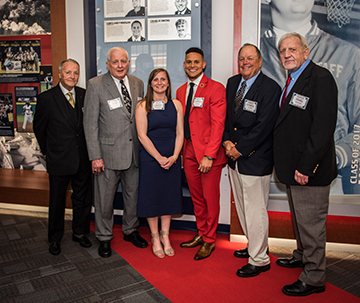 Six outstanding former Samford University student-athletes—representing decades from the 1950s to the 2000s—were inducted May 6 into the inaugural class of the new Samford Athletics Hall of Fame. In addition to their success in competition, they all have excelled in life. Two of the inductees later became Samford coaches after their playing careers.